I decided to create a new series of JQs after deciding that it would not do to have one which was 1/2″ smaller than the required size (thanks to a miscalculation of the finishing). So just five days before the deadline I managed to make four new JQs from scratch and get them in on time! woo! The series I am calling: memories of home and I think this also fits in nicely alongside my Genius Loci work for college. The inspiration has been about trying to capture the spirit of place, thinking back to my childhood home in North East England. I have created a series where each month’s fabrics and techniques feed into the next month, continually building additional layers of memory. These pieces try to capture the fading feelings of a place we long for, where we cling onto snapshots of our most vivid memories. 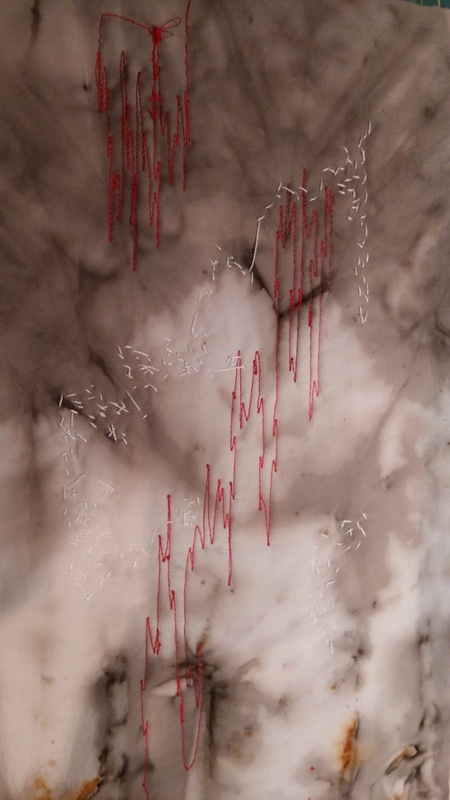 Each piece was created from different strips of unbleached calico which have been hand-dyed using materials found in the environment around my home – tree bark, dried leaves, flower petals, rusted iron wires. These were imprinted onto the calico through tannin dying using leftover red wine and black tea. Once patchworked, I added handwritten calligraphy onto each piece based on extracts from the local Newcastle folk songs I sang as a child. All of them were then hand-quilted using raw tussah silk threads with additional machine-quilting embellishment from some of the song lyrics. ‘January’ starts with my first piece of dyeing, onto which I wrote lines from the song “The Waters of Tyne” using acrylic ink before machine quilting. 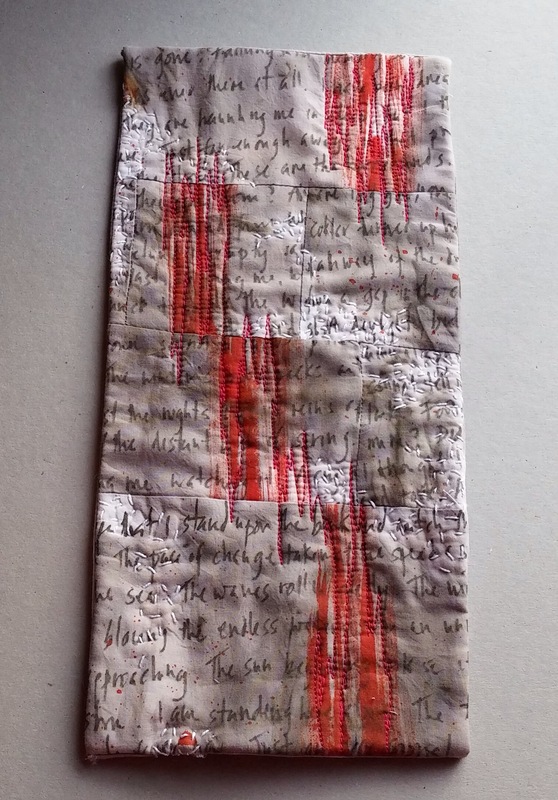 ‘February’ is a combination of the January fabric with new dyed fabric before hand-quilting and adding glimpses of song lyrics cut from a larger, unseen, whole. ‘March’ adds new calligraphy techniques, with italic script using an edged nib and indian ink. The lyrics are taken from the song “Felton Lonnin”. 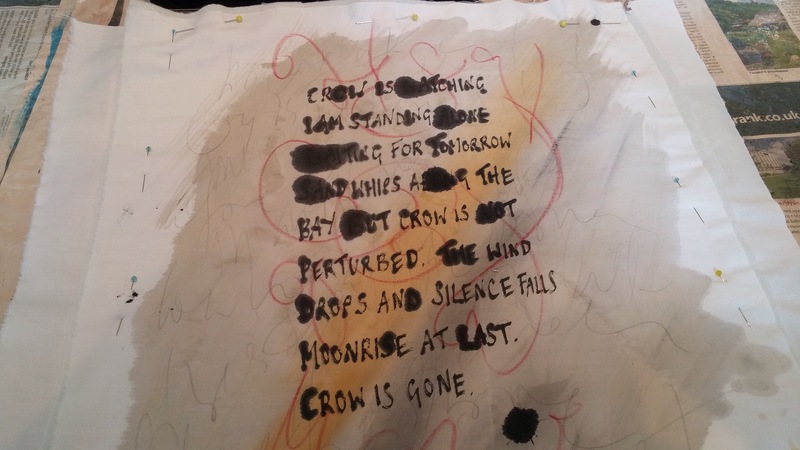 ‘April includes pieces of all of the fabrics used before as well as a larger piece of rust-dyeing embellished with lyrics from “The Keel Row” using white drawing ink and tape nib calligraphy pen. Now I wonder, where do I go from here for the next four? This entry was posted in 01 Textile work and tagged CQ, Journal Quilt Challenge on 30 April,2015 by antalbot. Both my February and March Journal Quilts are now finished. Yay! Now just to complete the piece for the month I’m actually in and I’ll be up to date. 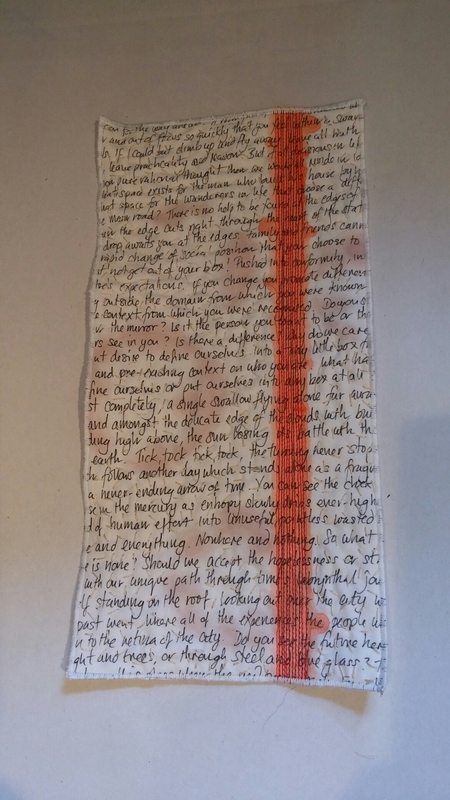 February was a continuation of the bloodlines theme, using different methods to imprint poems onto fabric before stitching. This is the finished piece first with handwriting then painting, before being patchworked with finally the quilting now finished…although I have to say I actually prefer the back! My next test for the March JQ was to try to use transfer techniques to get the text onto the fabric. 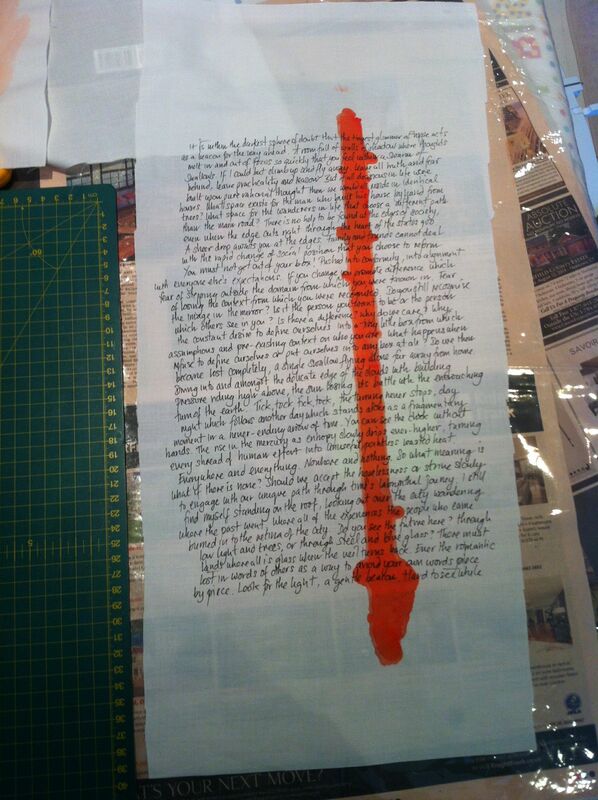 This was the poem I was using and the resulting words transferred onto hand-dyed grey cotton. As you can’t quite see from the photo, the transferred text is not only slightly distorted from passing through my rubbish inkjet printer, but it comes with a thin layer of polymer which makes it look darker and plasticy, which I just don’t like, so I decided to move away from is and go back to ink. Using a piece of practice calligraphy from my sketchbook as a starting point, I found a new font style to use, this time using my dip pen with tape nib and Indian ink directly onto the fabric while it was still wet. 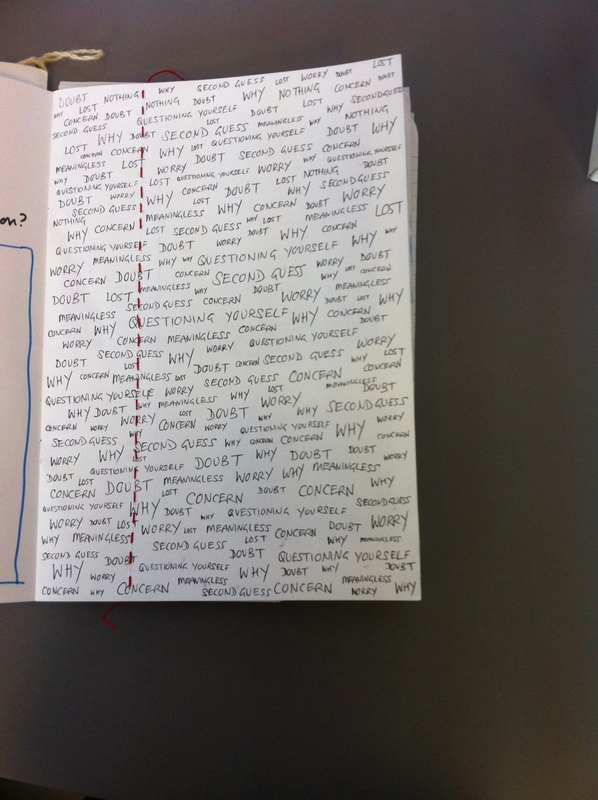 I like the way this has come out – especially the layering of barely / not-quite readable text. 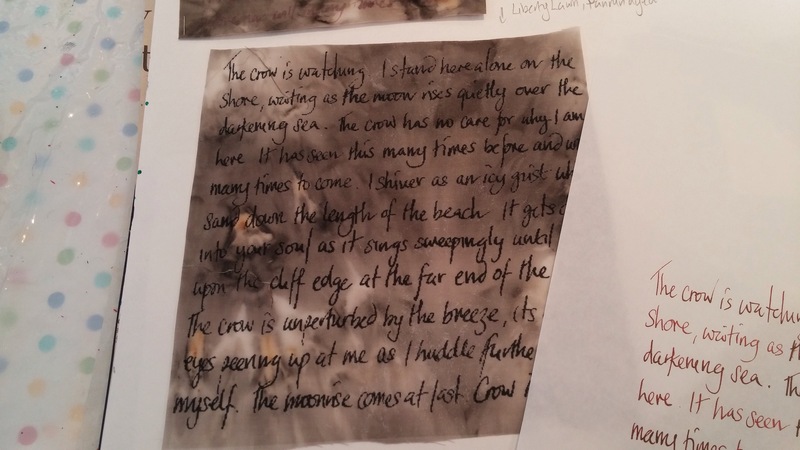 There are actually three layers of writing here (graphite, ink and oil), four if you count the calligraphic stitching on the top. 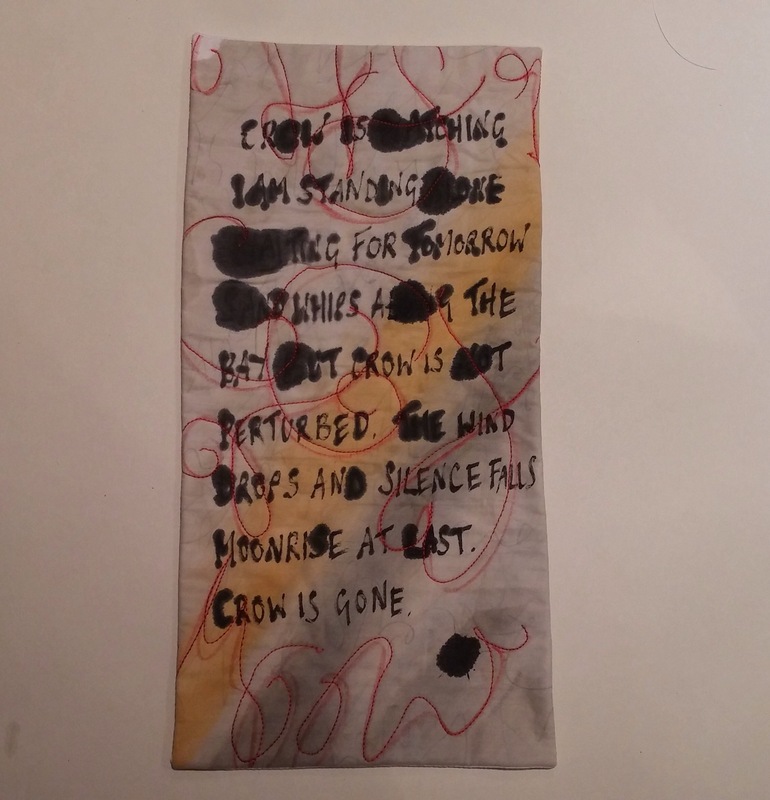 This entry was posted in 01 Textile work, 06 Poetry and tagged calligraphy, CQ, crow, Journal Quilt Challenge on 9 April,2015 by antalbot. So at last the end of term break has arrived. A chance for a change of pace and some reflection on the term past, as well as a few fun things. One of the fun things on my to do list is catching up with my 2015 JQ challenge, set by the Contemporary Quilt group of the UK Quilter`s Guild. Each month we need to create a small quilt of a set size – this year being 6” x 12” – on any theme of our choosing. 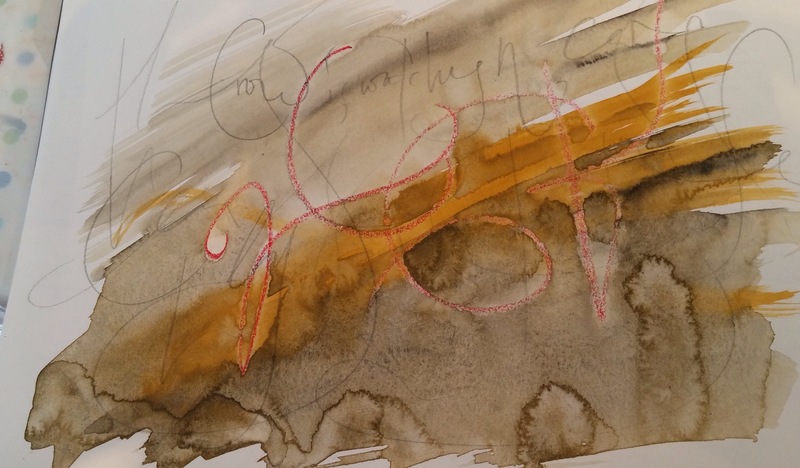 The theme will let me play with my calligraphy work and different ways of transferring stories (and my newly named “stream of consciousness” poetry). I think i will keep the colour palette limited to allow the techniques to vary. 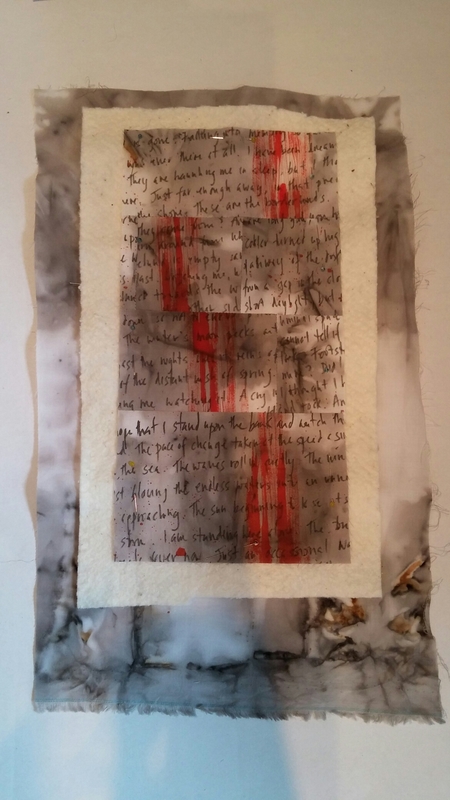 This was my starting point for my January quilt, based on a poem written in one sitting one lonely afternoon. This one used fabric marker and watercolour paints. And today i finally finished the quilt! Added a bit of tannin printing and a lot of seed stitching. Happy with this one. 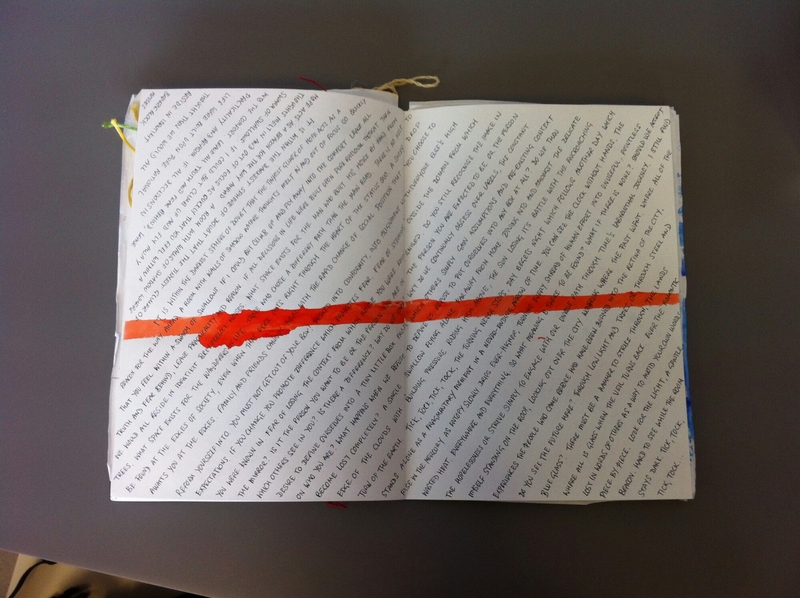 I also got started on the February JQ today, a nice step from the first experiments, but still based upon a poem written in one stream, calligraphy and ink. Also used some of my hand dyed fabric made using tannin staning.This is the progress so far – layers pinned and ready for quilting. This entry was posted in 01 Textile work and tagged CQ, Journal Quilt Challenge on 23 March,2015 by antalbot.